'The Man on the Moon' by Simon Bartram. This is an exciting story of an ordinary man called Bob who has a not so ordinary job! 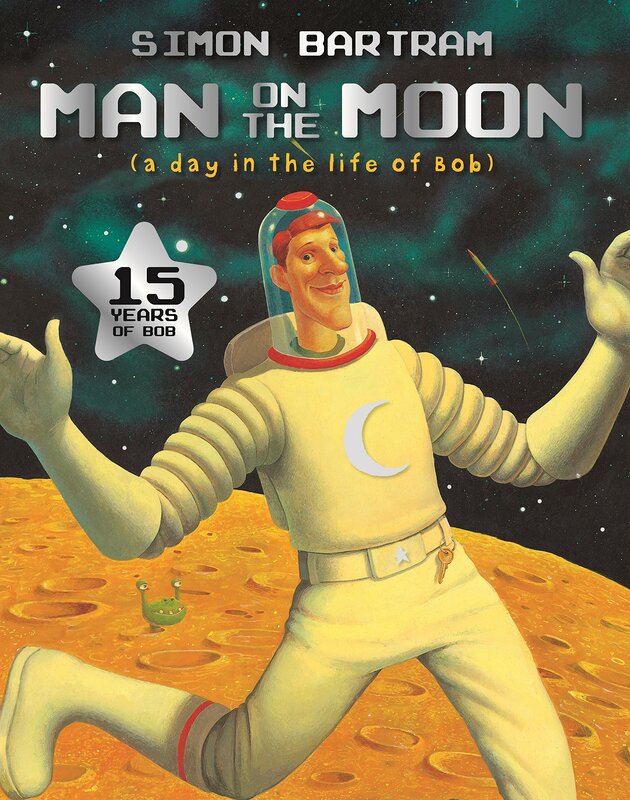 Bob travels to the moon everyday on his rocket to look after the moon and provide tour guides to moon visitors. The children will be pretending that they are Bob and have travelled to the moon for the day. It will inspire our learning in reading, writing, spelling, history, science, art and music. We will also enjoy a wonderful text called 'Here We Are'. This will inspire both our English and Science learning. In Science this term our topic is Space. The children will be exploring our Solar System and finding out key information about the planets. We will also have the opportunity to explore these closely with a visit from an indoor planetarium. We will then become familiar with key constellations. In Maths this term, we will be revising our knowledge of adding and subtracting ones and tens to 2-digit numbers. We will also look at doubling and halving numbers. We will also revise number bonds to 10, 20 and 200. We will revise 2D shapes. Through all our topics in maths we will be covering problem solving and reasoning questions. Our focus in Music this term will be learning the songs that will be in our Christmas performance 'The Sleepy Stargazer'. There will be a combination of group singing and solo opportunities. We will be designing and creating our own space badge suits to link in with our Space theme. Children will explore a range of examples and use these to design their own badge. They will then use different materials including felt and card to create their own badge. We will also use clay to make a footprint on the moon's surface. We will be exploring the memorable event of Apollo 11. We will be learning the key events of the mission. We will also be learning about the famous astronaut Neil Armstrong and his role in the Apollo 11 mission. This term we will be linking our Art to our Science learning and using chalks to create our own constellations. We will also be using chalks to draw our own lunar landscape, looking closely at the details on the moon's surface, and re-creating Neil Armstrong's first footstep on the moon using foot prints in clay. This term we will be 'Celebrating Difference'. We will be identifying how we are all different and how wonderful it is that we are all different. We will be exploring what makes us different to others. In PE we will be choreographing our own dances for our Christmas performance. We will be using the beat of the music to support our movements. We will also be creating our own Space dance where we will be astronauts travelling to the moon!